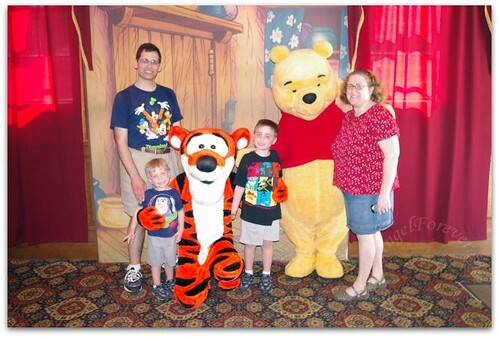 Magical family memories are what you dream of when traveling to Walt Disney World and it is a simple item to fulfill. The boys and I have had yet another fantastic experience, filled with memories that will last a life time.Of course, the hardest part of a vacation is packing up to head home and going back to reality. By the time you read this we will be home, in the cold temperatuers, possible facing more snow. Right now, I am still hear and heading off for our last magical day at Disney. What is the hardest part of going back home after a vacation, and how do you help to ease back into things? One other thing –> Happy Anniversary Mom and Dad!!! Disclosure: Although we paid for our own trip to Disney World, we were given an incredible deal thanks to Disney. The sweet conference fee included 3 nights at the Grand Floridian, several meals for the entire family, 7 day park hoppers for everyone, conference/meals for me and some other items to take home. Also note that Disney never asked us to blog about this event. As a long time Disney fan it is my pleasure to share my experiences from the event. « Time for an adventure of the unexpected kind! I usually take a couple of days to ease back into our routine. Ugh… the hardest part for me is going back to that mountain of laundry and all the unpacking. My kiddos are little, so there is a lot to do! I usually try to tackle it all by sorting and getting out of suitcases as fast as I can. Then I can deal with the mountains of laundry, etc. later. Owen’s Mom´s last blog post ..New Titles on Nickelodeon DVD available now! The hardest part is unpacking and doing all the laundry! LOL! I would say dealing with the laundry would be the hardest part. But for me being on holiday and having to entertain the kids 24/7 is more tiring than having a normal day at home. Happy Anniversary Beth’s Mom & Dad!!! The unpacking, laundry, getting caught up on both snail and email. The hardest part for me is actually going back home,lol. We usually take a day or two to unpack and be lazy before things go back to normal. The hardest part for me is having to cook my own meals instead of just choosing a fabulous meal from one of Disney’s restaurants! As a mom..unpacking for everyone else and the darn laundry! I love your picture- everyone looks great! I usually make sure we have a couple days to relax. This way we can ease back into our routines. I’ve not yet had a vacation that makes me not want to go home. I’m usually with the inlaws, or somewhere that just makes me uncomfortable. 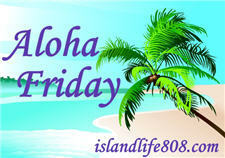 JamericanSpice´s last blog post ..A Slice Of Food Heaven Aloha! well, when we do vacation.. SO – LAUNDRY is PILED HIGH!!!!!!!! So glad yall had fun! The laundry is no fun, but getting back into the routine is the most challenging. I look forward to returning home from long vacations, and then when I get there, I can’t wait to go traveling again! Lack of routine.. everyone is so out of it. Never fun.